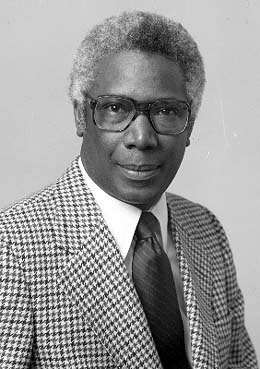 Walter R. Hundley, minister, sociologist, civil rights worker, and administrator, served in a number of important offices in Seattle government. Hundley was born in Philadelphia on March 8, 1929, and raised there in a black neighborhood which he recalled as being pretty rough. He graduated from Lincoln University in Pennsylvania in 1950, and Yale Divinity School in 1953. Arriving in Seattle in 1954, he served as minister at the Church of the People until 1956. Social work then became his focus and he received a degree in social work from the University of British Columbia in 1960, and a Masters of Social Work Degree from the University of Washington in 1963. During the late 1960s, Hundley became a highly visible figure in the civil rights movement in Seattle. As chair of the Congress for Racial Equality and member of the Central Area Civil Rights Committee, he was a leader in organizing the boycott against Seattle Public Schools and in promoting picketing and marches through downtown for equal employment and housing opportunities. In 1966, he was asked to direct the Central Area Motivation Project, the largest community action program in King County. In 1968, he became director of the Seattle Model City Program which, under his direction, became a model for the nation. From 1974, until 1977, he served as Director of Office of Management and Budget. From 1977, until 1988, when he retired, he served as Superintendent of the Department of Parks and Recreation.